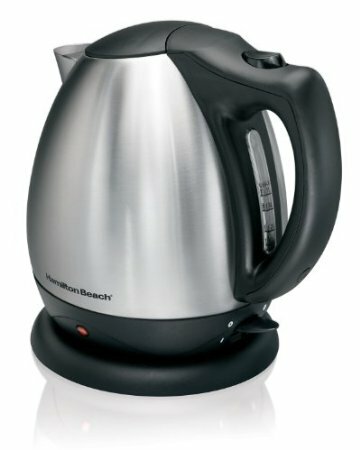 Yet another sleek polished stainless steel electric kettle from Hamilton Beach that heats water faster than a microwave. This kettle boils 10 cups at once and sits on a swivel base that receives the cord. The element is also concealed so that you can place it on any surface without damaging it.